A changing bag is something that all mum's need, in my opinion it is an essential necessity to keeping organised. Today's changing bag market is so vast, with everything from designer like handbags to cute kitsch bags with fabulously fun prints. There is something to suit every kind of mum out there. But what about for dads? I am very lucky that I have a very hands on husband who does more than his fairs share of parenting duties, one thing he said when looking for a new changing bag was "can we get one that isn't aimed at just mums?". Challenge was excepted and my search for the perfect changing bag for both him and me was on. I'm going to be completely honest, I could of quite happily purchased a 100 bags - if they were for me alone but I really struggled with finding one suitable for us both. He didn't want a handbag style bag, and he certainly didn't want one that was full of (beautiful) floral prints either. I decided to have a look on PacaPod's website because I already knew about their bags and loved their concept. PacaPod is a 3-in-1 cleverly designed bag that clips to your pushchair, works as a 'designer' style bag, cool bag, changing bag and even includes a changing mat. As I love a bag in which I don't have to spend hours trying to find a particular thing (like my own current handbag!! ), this organisation concept was something that always stuck in my mind. Looking at their bags they had plenty that would be suitable for both me and my hubby. Of course they have some very beautiful (which I would very much like!) designer style bags, but they certainly tailor for those who are looking for a unisex bag like us. 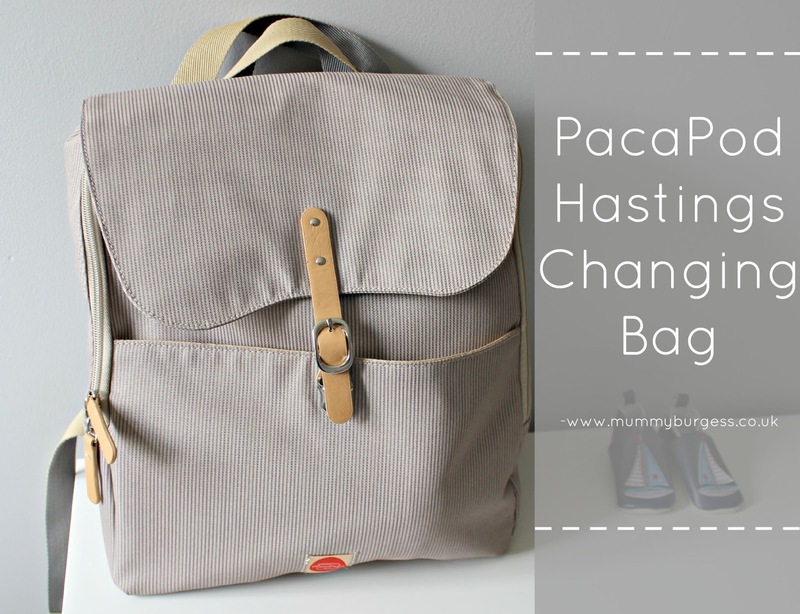 We decided upon the Hastings in Driftwood, a classically designed rucksack style changing bag. My hubby said he would be happy to take the kids out single handedly and I too love the design. 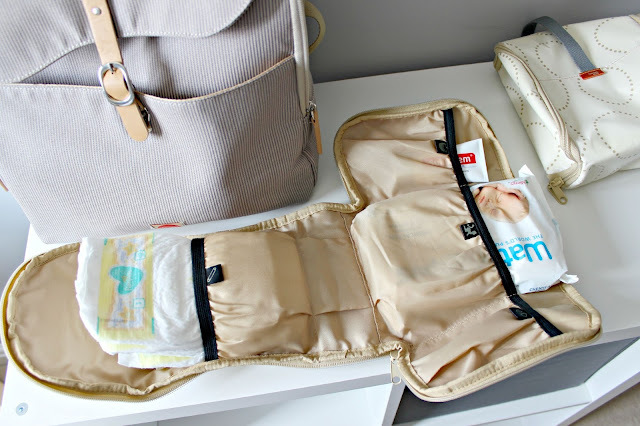 The bag contains two pocket areas, the front pocket which has a further two pockets and then the main zipped compartment which houses the two pods & changing mat (with room left over for clothes etc). I have started to pack this bag ready for his arrival, as it will be his hospital bag and it fits everything!! I'm particularly impressed with the pods, though it will be a while before we use the feeder pod, I can see it being very useful. 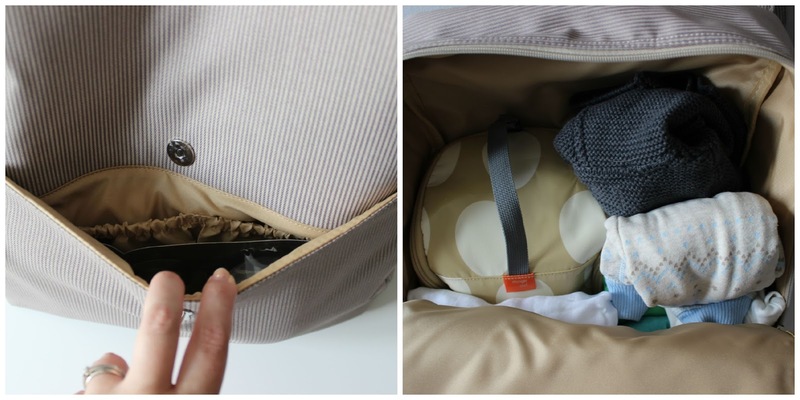 The changing pod is brilliant, and means that you don't have to take the whole bag when baby needs changing. With the pods you also don't have to have them inside the main bag, you can attach them to the pushchair instead if you wish - perfect for on the go! As you can see, within the changing pod are separate dividers, all labelled so you can keep everything organised. Perfection. Just based on first impressions and organising the bag for baby's birth, I am thoroughly impressed. The bag retails at £65, but I managed to get mine for £40 due to the feeder pod being (ever so slightly and hardly noticeable) damaged from John Lewis. I was thrilled with that discount, but would of been happy to have paid the £65. Is your husband/partner fussy when it comes to changing bags?